Whether you’re a carnivore, vegetarian or vegan, we have a wide-range of options for everyone! 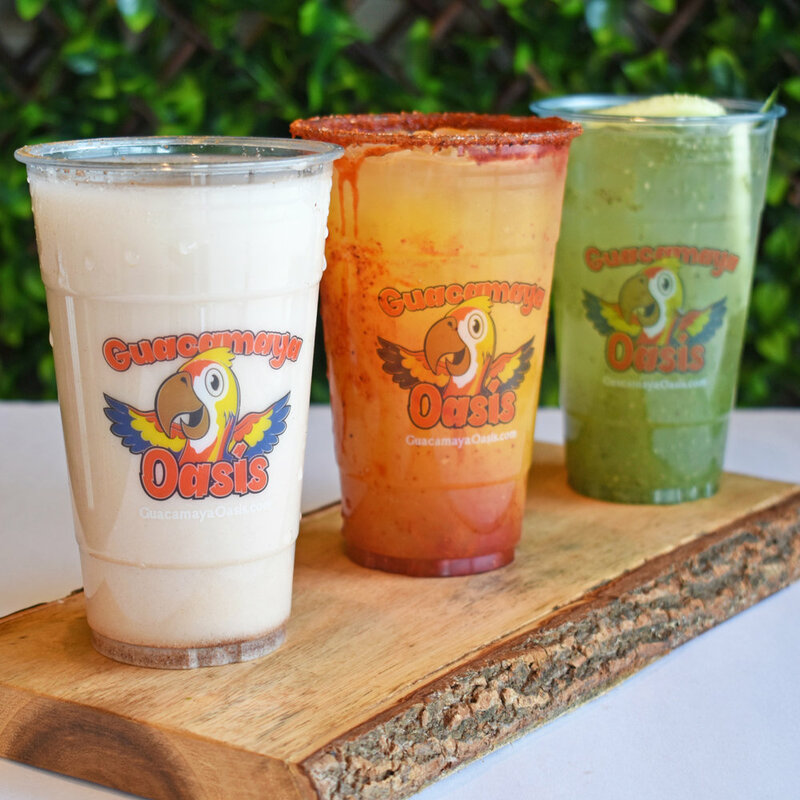 We offer fresh Juices, Aguas Frescas, Smoothies, Salads and Mexican food including unique Vegetarian and Vegan options! We believe in giving customers the absolute best and freshest ingredients. From our first-class Juice Bar which utilizes fresh, organic produce to our protein which is held to the highest standards when being added to any meal. Each of our salad dressings are made in-house, Aguas Frescas made fresh daily with organic cane sugar and sandwiches made to order. We also offer a wide range of Vegetarian and Vegan-friendly options. Tofu Scramble, Potatoes, Homestyle Beans, Roasted Portobello Mushrooms, Pico de gallo, Guac & love. Our Mexican Food section features a variety of options from fresh meats to vegetarian alternatives and even Vegan options! From a 100% Plant-based Crunch wrap with Vegan Queso to our homemade Barbacoa Nachos, we have something for everyone. We have fun with the organic produce and protein that is available to us which allows for a more creative specialty menu. Whether you're in the mood for a hearty meal or simply try something new, our Mexican Food section is sure to satisfy. Whether you are in the mood for a simple caesar salad or interested in something a bit more satisfying like our top selling Avocado Cilantro Salad - we have you covered. We offer a large range of specialty salads as well as a wide "build your own" section with toppings such as quinoa, roasted salmon, parmesan crisps and more. Let's not forget our amazing scratch made salad dressings made in-house daily. What are you waiting for? Ain't nobody fresh as us. Whether you're on a cleanse and need to get those super greens in, or simply had a rough weekend and need a quick booster shot, our juice bar features everything you need to get you going. From freshly made juices, refreshing smoothies to health shots, let's get you right!